Blink Design™ has been working alongside Harty International since 2003, and, as with all successful businesses, they have developed and grown over time. Founded in 1985, John Harty & Associates delivered HR consultancy services including senior recruitment, employee relations and training. Evolving from John Harty & Associates to JHA Executive Search and later Harty International (www.hartyinternational.com). The Harty International office base is in Dublin and we have been working with John Harty over the years on various projects. 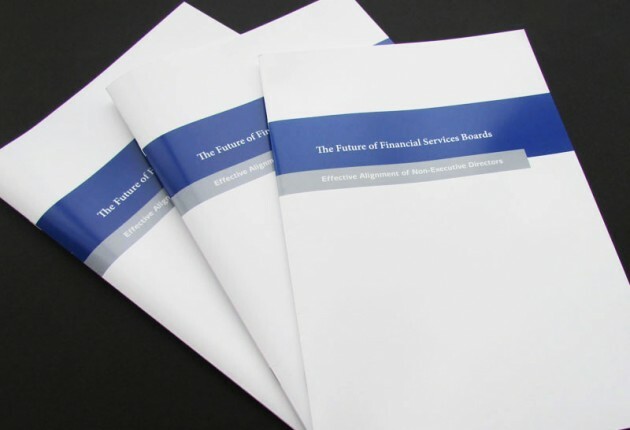 We were delighted to work with John on his first white paper “The Future of Financial Services Boards’ Effective Alignment of Non-Executive Directors”. 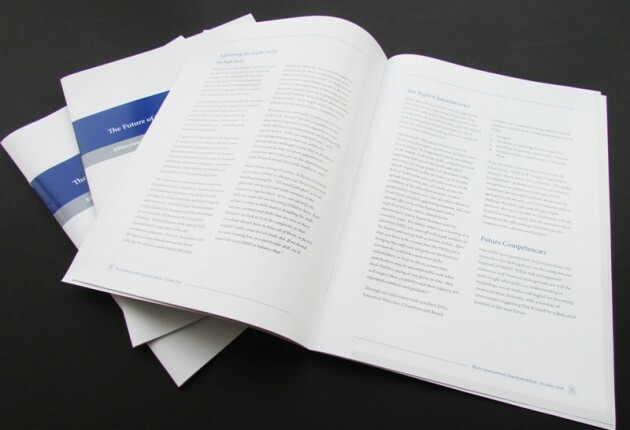 This White Paper was commissioned by Harty International in order to provide insight into the effective alignment of Non-Executive Directors to the boards of financial services companies. The interviews that took place reflect real-time opinions and views from individuals with highly-relevant experience in the board appointment process. Having finalised the title, the design process first involved the development of the look and feel of the front cover. We agreed that it needed to be clean with a corporate edge. We decided to use a lot of white space to achieve this. The Harty International corporate colours of course would be central to the design. Following experimentation and tweaking to preferred concepts, we finalised the cover to what you can see here. The content itself developed throughout the process and there was much discussion on how this could be presented. Looking at the various options and reviewing paper samples and how the content would sit and flow, we agreed that it would work perfectly as a sixteen page A4 booklet. We created preliminary drafts to see how the content flowed through the document. Following review of the draft layout, we made tweaks and completed the typesetting. 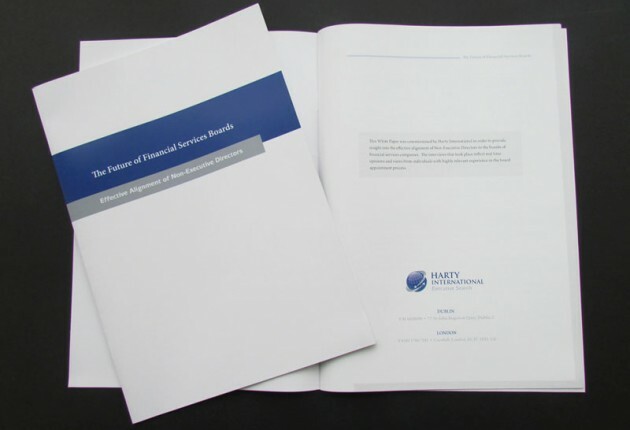 The white paper was printed and was also made available as a .pdf for download from the Harty International website. We have really enjoyed working with John on this project. We were delighted with the end result and we look forward to working with John in the future. Log onto www.HartyInternational.com to learn more about the business.